The apartment in the Olhos da Agua area of Albufeira and is 3 bedrooms and has a capacity to sleep 6 people. Delightful surrounds for a holiday to suit every taste. 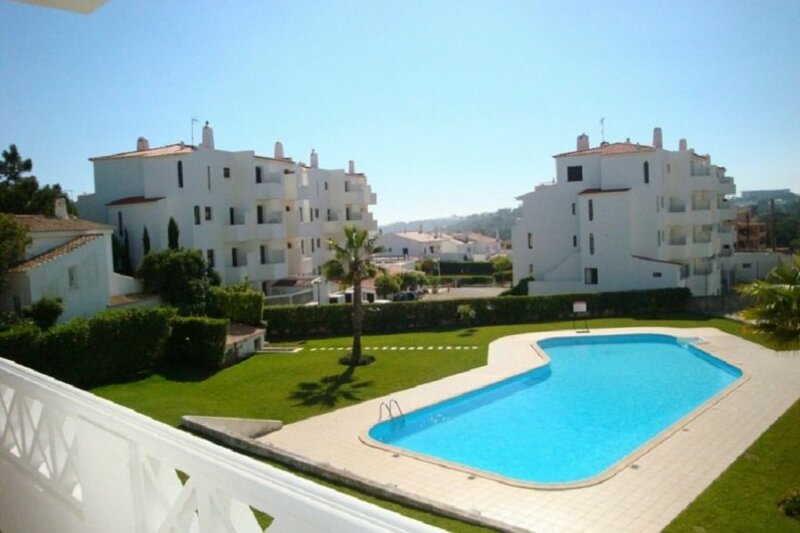 T3 Tangerinne is a spacious apartment in the area of Olhos da Agua in Albufeira. The apartment itself is modern and bright with tasteful furnishings throughout. The outlook is onto the gardens and the swimming pool. The location is superb and only 300 meters from the golden, sandy beach of Olhos da Agua. The main center of Olhos da Agua is 700 meters away. If you are a golfing fan then you will be pleased to find the Sheraton Pine Cliffs golf course is only 2 km away from the property. Within a short trip of 20 km, you can easily access the 2 main theme parks of the Algarve namely Aquashow water fun park and Zoo Marine. The property itself is fully equipt and the Communal pool area has sunbeds for a relaxing day soaking up the sun. There is a BBQ and terrace with furniture to enjoy dining alfresco. Inside the property, there is a fireplace, Wifi, Tv and satellite. The kitchen is also equipt with Oven, Hob, Dishwasher, Washing Machine, Fridge, Freezer, Juicer, Toaster, Cutlery, Crockery and Glassware. A coffee machine is provided to ensure the breakfast time is perfect. Finally you have parking alocated for you in the within the property grounds.